Taisho Alice, like Ozmafia, is an otome visual novel that features notable characters from traditional fairy tales including Cinderella, Red Riding Hood, Snow White, Gretal, Alice, and Wizard. 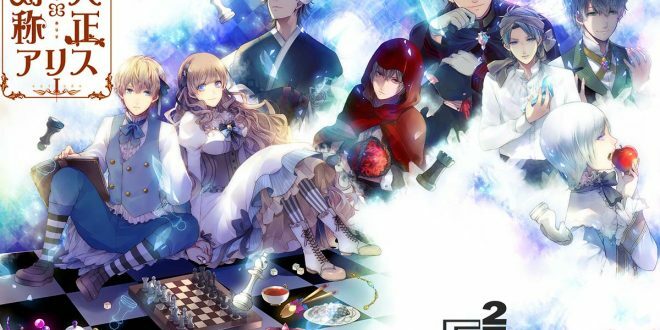 The most prominent aspect of Taisho Alice, that distinguishes it from Ozmafia and Shall we date: My Fairy Tales – a dating simulation game for Android and iOS, is that it combines western and eastern cultures. While Ozmafia put a new twist on the renowned children’s tale, The Wizard of Oz, and exclusively features characters such as Red Riding Hood, Robin Hood, Dorian Gray, and Hamelin for players to pursue, Taisho Alice also includes a male version of the protagonist, Kaguya from the Japanese prose narrative, The Tale of the Bamboo Cutter. Aside from this distinction, the female protagonist in Taisho Alice is very similiar to the protagonist in Ozmafia. 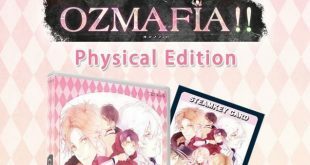 In Ozmafia the protagonist, Fuka has no recollection of who she or where she is. Similarly, Taisho Alice’s protagonist, Alice Yurika, is a young amnesiac girl who embarks on a journey to regain her memories. While on her journey, Alice meets an apathetic and introverted young man who has also lost his memory. He introduces himself as Alice; the only name he can recall and reluctantly, after much persuasion, joins Yurika on her quest to discover who she is. Suddenly, Yurika comes across a reflective crystal that, with a touch, displays images of two handsome men. Cinderella and Red Riding Hood are the names of the two men depicted in the crystal. Subsequently, Alice asks Yurika to pick one of the men she would like to encounter. After this, Yurika’s romantic adventure officially begins. Originally, Taisho Alice release date was in February 2015 in Japan for the PC and in June 2016 for the PS Vita. The English release arrives sometime in March for the PC only.